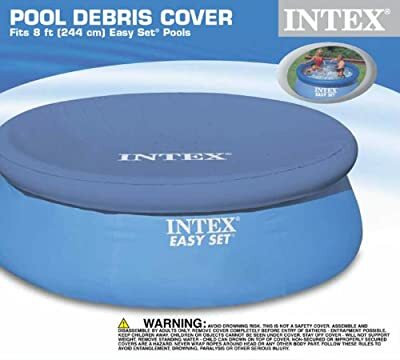 Easy Set swimming pool Cover by Intex 366cm. Keep your pool clean easily by covering it up with the Intex Easy Set pool cover. Fits all 366cm (Round!) Easy Set pools. Keeps dry and breathes through small pores in the fabric.